Introducing, Halsey Minor, technology entrepreneur and co-founder of Cnet, darling of the paddle-wielding, big spending, new monied, art bingers: he had 22 works from his collection on the block, hoping to recover from what the auction houses call one of the big ‘D’s: debt. (The others are Death and Divorce). Mr. Minor, who has had his share of auction house conflicts in the past, had hoped that the sale would help him pay his $21.6 million delinquent loan to ML Private Finance LLC, an affiliate of Merrill Lynch. The sale made $21 million and 8% of the buyers premium will go to ML Private Finance, according to a deal made by Philips De Pury in order to wrestle the sale from Christie’s. 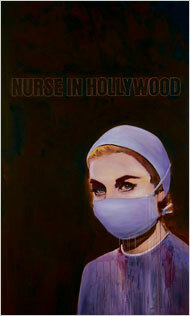 Richard Prince’s “Nurse in Hollywood No. 4,” went for $6.4 million. Other works included those by Takashi Murakami, and furniture by Marc Newson.